Motivated by the difficulties her sister faced post pregnancy, Eva was determined to make her post pregnancy the best she could. Living next door to a Placenta Remedies Specialist, Eva had her solution within arm’s reach. And we think it might be the fastest placenta remedies delivery service on record (we’ve got no stats to back up this claim). “For my sister, after her baby was born she didn’t want to hold it. For the first 3 months the bond between my sister’s baby and her seemed broken. Every day was a constant struggle for her. She hadn’t had a traumatic birth, which is what I had thought caused that sort of thing to happen. I was there to help her and it was difficult to watch her struggle so badly. I hadn’t yet had a baby of my own but I knew I didn’t want to go through that. I knew that it was meant to be such a big change, but also a beautiful and happy time and yet for my sister, it wasn’t. Watching her go through that was really hard. She’d hide behind the sofa because she didn’t want to breast feed her child. So, when I became pregnant I started to look into how I could support myself after pregnancy and came across testimonials from mums who had successfully used placenta remedies. 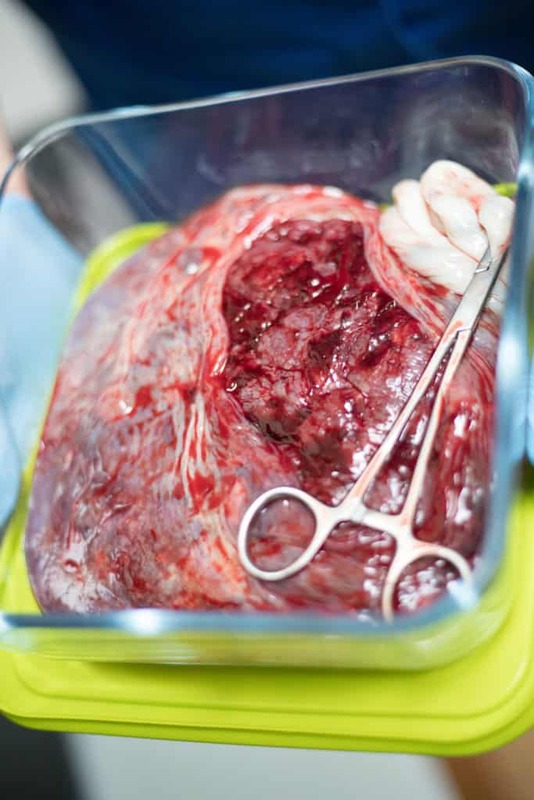 I was still quite sceptical first time around but I thought that if we eat other animals organs to help with blood flow, such as chicken liver, then why should we not consume placenta. The outlay did not feel like a massive amount of money to waste, if it didn’t work out. I reasoned it was about the amount I’d spend on a food shop, so why would I not make this one off payment. I wanted help to balance out my hormones and I thought placenta encapsulation would be worth a try. Even halfway through taking them I was still sceptical enough to trial what would happen if I stopped taking them. I stopped taking for a week and my husband really noticed the difference. My partner calls them the “happy pills”, when I stopped taking them he said it made a massive difference and I thought so too. For me, I definitely think it worked. My milk came in quickly and it worked on my baby’s flaky skin, which cleared up really nicely too. I birth big placentas and I got 175 pills out of my second placenta and 220 from my first! With my second child we also decided to make a rather larger investment into stem cord harvesting. It’s an insurance policy for all of us, it costs a couple of thousand pounds but it means that if any of us get really sick we’ll have stem cells we can use. A work colleague of my partner sadly passed away from cancer and things might have been different if they had found a donor. The other way we invested in the birth of our second child was to hire a birth photographer. One of my friends had employed a birth photographer and her photos were amazing. It was important for me to document the birth of my son. I’m a Doula and Hypnobirthing Practitioner and this felt like something I wanted to do. My first baby was born in hospital and the second was born at home. When I was pregnant I suffered badly from hyperemesis gravidarum, like Kate Middleton had. There was a high risk of my baby being still born. I suffered so much my bed was put downstairs and people would take me out for walks. But after all that my baby was fine and was born a healthy 7 lbs and 3 oz. While my body had grown weak, my body had ensured I could grow my baby to a healthy size. Second time around I only vomited for the first 16 weeks. By this time I had met Gulay, my next door neighbour from whom I learnt so much about placentas and who provided me with remedies from my second placenta. As well as the pills I had ordered, I also had some of my placenta made into a cream. I swear it is worth its weight in gold! My first baby is now a toddler, I got told the hardest time is going from no children to one. However, I find it harder now going from one child to two as my attention now needs to be shared and my energy levels run low sometimes. With thanks to Eva for sharing her Birth Story.